The Data Collection Trigger pop-up opens. 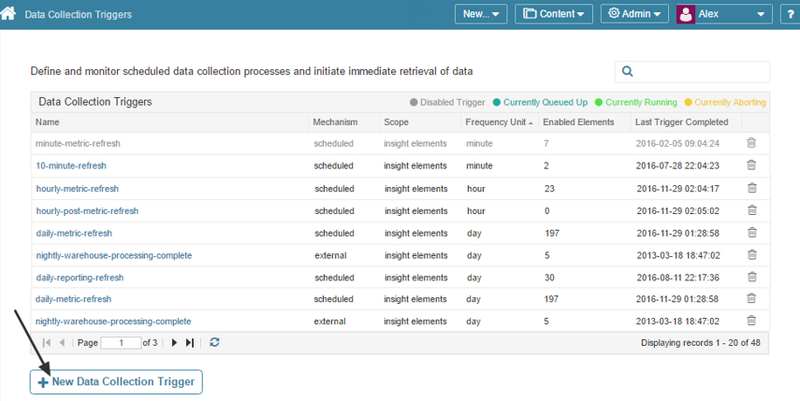 Data Collection Scope: This trigger can be applied either to elements (Reports, Metrics, etc.) or Dimension Values. This choice can be made at this step only and once saved cannot be altered. Name: should be unique and descriptive. NOTE: In versions prior to 4.1 trigger names could not contain spaces, caps and other characters. Provide the Interval and unit that will determine how often the trigger is executed. 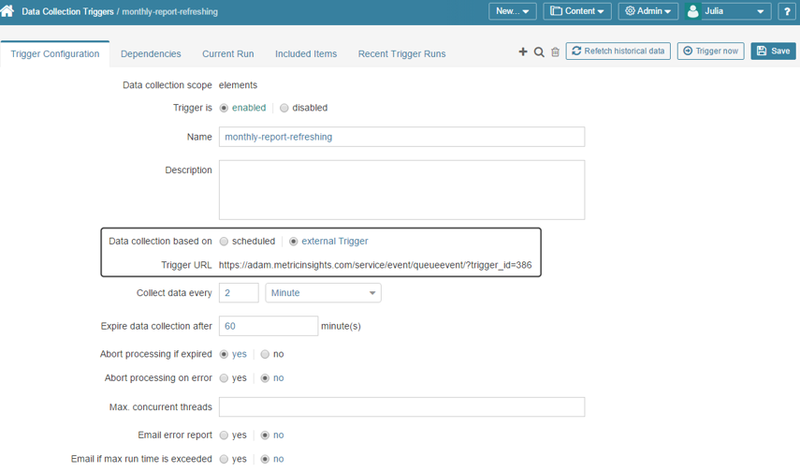 Specify whether the trigger should run as early as possible in the period (day, week, etc..) or if it should only be run after a specific time. If you choose to perform data collection upon the External Trigger, a URL is to be displayed at the field below. You can use this URL with other integrations. 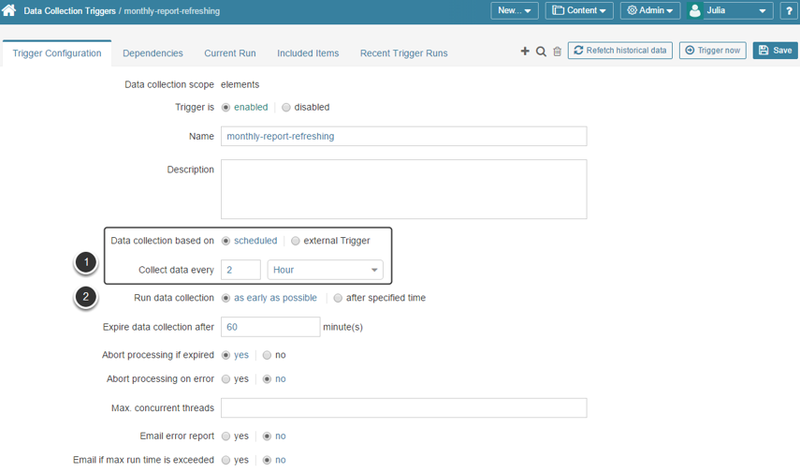 Note that the trigger will not automatically start at the pre-specified schedule if there are Trigger Dependencies or Data Dependencies which have not been satisfied. A schedule-based trigger will be started after the specified time ONLY once all associated dependencies have been satisfied. Prev: What options are available for triggering Data Collection?